"A refreshing drink on a hot day. Serve over ice." 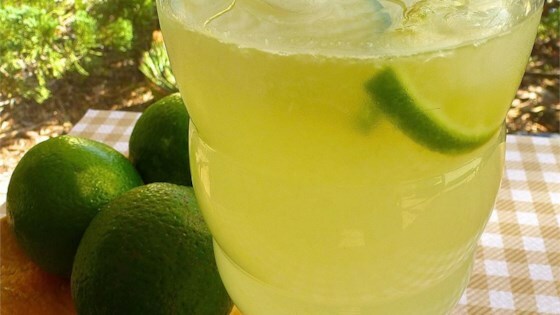 In a pitcher, combine lime juice, water, sugar and honey. Stir until sugar is dissolved. Chill in refrigerator. Oh this was good!! I heated up 1 c. water and added sugar & honey to make sure the sugar/honey disolved then added to 1 c lime juice and 4 c water. Just the right amount of tartness in this recipe! YUM! We used a garlic press to juice the key limes, which made it much easier and faster to get 1 cup of juice. This was good but had to double the water the original recipe is way too tart and sweet. Would use less sugar if I it make again.